Item # 278629 Stash Points: 1,999 (?) This is the number of points you get in The Zumiez Stash for purchasing this item. Stash points are redeemable for exclusive rewards only available to Zumiez Stash members. To redeem your points check out the rewards catalog on thestash.zumiez.com. Do what you love even in the after life. 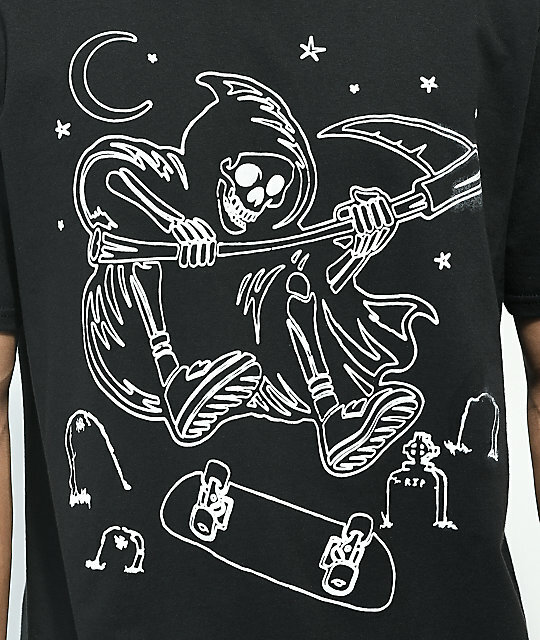 The Shred To Death tee from A-Lab features a white lined sketch of death himself shredding the graveyard with his sickle in hand on a black, 100% cotton shirt. 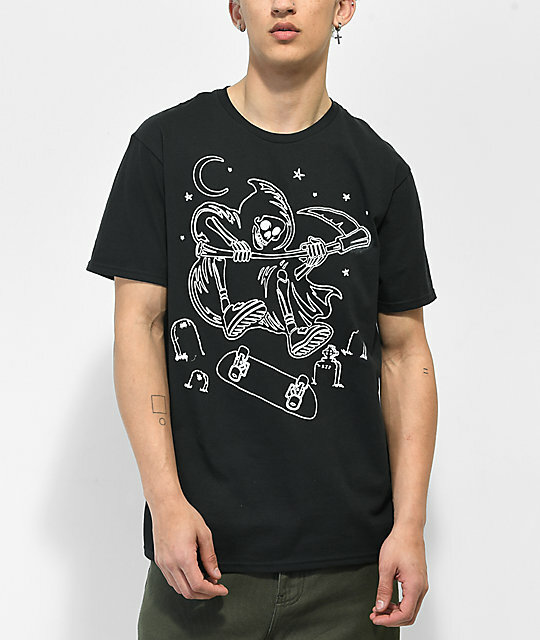 Shred 2 Death Black T-Shirt from A-Lab. Screen print graphics at front chest.